Our intuitions formed during a uniquely benign period for the world economyâoften termed the Great Moderation. Asset prices were rising, cost of capital was falling, labour and resources were abundant, and generation after generation was growing up more prosperous than their parents. But the Great Moderation has gone. The cost of capital may rise. The price of everything from grain to steel may become more volatile. The world's labor force could shrink. Individuals, particularly those with low job skills, are at risk of growing up poorer than their parents. 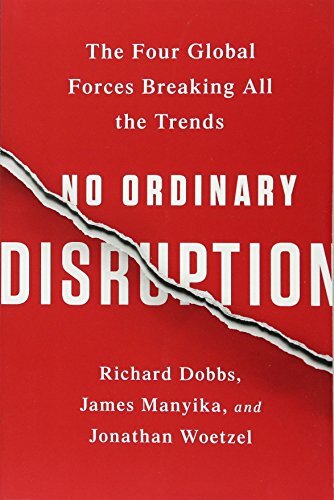 What we are now seeing is no ordinary disruption but the new facts of business lifeâ facts that require executives and leaders at all levels to reset their operating assumptions and management intuition.